Welcome to the Fourth edition of Bronny’s Bookshelf. In these posts I’ll be picking a handful of children’s books from my home bookshelf and sharing my thoughts on them. Today I’ll be discussing three books, a couple of which are very near and dear to mine an my child’s heart. Horton Hears a Who! is a story about an elephant named Horton who overhears the echo of voices on a little red clover. Upon closer inspection he discovers that there is a whole town of Who’s, human-like creatures small almost to the point of being invisible, and who live on this particular clover. Horton then makes it his mission to protect the clover and its inhabitants, particularly from the threat of other animals in the jungle who mock him and disbelieve in the existence of the Who’s before stealing the clover and trying to hide it. At the end of the book, after a great deal of anguish and persistence, Horton manages to save the red clover as well as the Who’s which live upon it. The core message of the book is repeated like a mantra throughout it: “A person’s a person, no matter how small.” This is a theme which teaches children the importance of treating and respecting others equally despite their size or appearance. What is most distinctive about Horton Hears a Who! is, like most Dr. Seuss books, both the imagination of the world created and the style of the language. 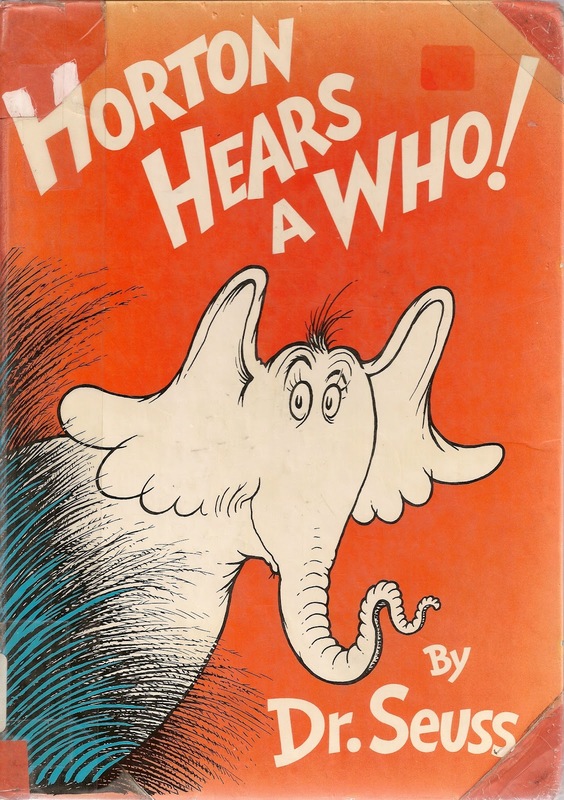 From the rhyming couplets of the words to the kooky cartoon animals, Horton Hears a Who! is sure to leave you and your child entertained. The Very Hungry Caterpillar is a story which follows a little caterpillar from its life as an egg, its brief life as a caterpillar devouring whatever food it can find, its even briefer life in a cocoon and right through to its emergence as a beautiful butterfly at the end. 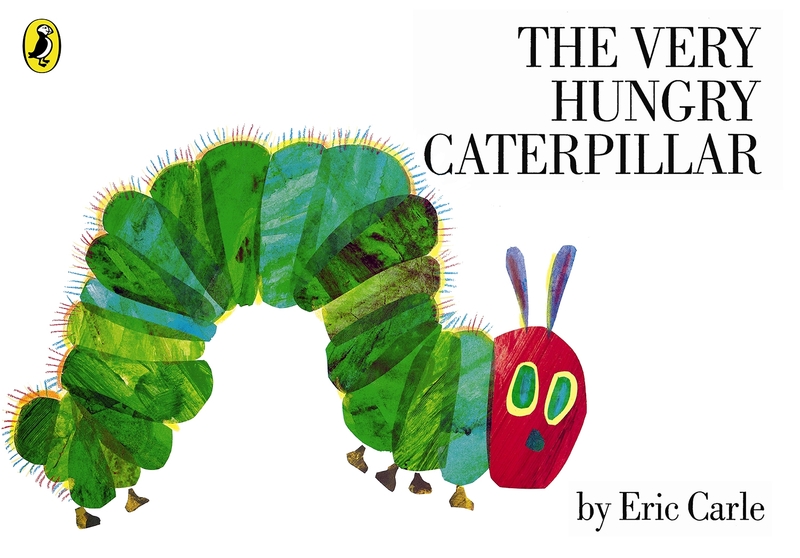 Since its publication in 1969 The Very Hungry Caterpillar has sold over 30 million copies, becoming a staple for children’s early reading all around the world. The story is accentuated with little pop up flaps on some pages which can be pulled aside to reveal holes in the fruit which the caterpillar has eaten on different days of the week, and these particular illustrations of food serve as very lush and appetizing pictures and include cakes, ice creams, cheeses, sausages, cupcakes, a slice of watermelon and a lollipop – each with little holes. This creates the sense that the caterpillar has eaten through your own book. On the whole it’s a particularly short though thoroughly enjoyable read. Mr. Happy is just one of over 40 books in the Mr. Men series which began in the 1970’s. The story of Mr. Happy takes place in Happyland – where the sun shines hotter and the trees are a hundred feet tall. Everything from all the flowers and all the animals and even the worms smile in this land. It is in a small cottage by a lake in this serene paradise that Mr. Happy lives. One day during one of his walks Mr. Happy explores an underground house and finds a man. This man is very similar to Mr. Happy, he is small and round and yellow, but unlike Mr. Happy, this man is miserable, in fact his name is Mr. Miserable. After escorting his new friend out of his tree home and up into Happyland, Mr. Miserable finds himself unable to fend off the simmering happiness that burns in the cores of all who dwell in Happyland, and his frown quickly turns into a smile. This segues into the final message of the story which addresses the reader, it states: if you ever feel as miserable as Mr. Miserable, all you need to do is turn your mouth up at the corners and smile. This entry was posted in Uncategorized and tagged Bronny and Muntsa, children's books, childrens book reviews, dr seuss, horton hears a who, mr. happy, my super family children's books, very hungry caterpillar. Bookmark the permalink.